Today’s post comes courtesy of Jonathan Hamilton-Potter, and it covers a topic I feel is an important one for many new and up-coming fitness professionals to consider. Heck, industry veterans too. And that is…being too strict with exercise technique. My eyes narrowed in disgust as I scanned the gym, trying to take in what was going on. There was fellow personal trainer James, whose client Kelly was performing upright rows with no scapula retraction. I spied Denise, training two girls to bench press, but completely neglecting the fact that using a lower-back arch and utilizing leg drive would have made them far more efficient and given better leverages. And worst of all – Kevin, who had one of his guys squatting, but cutting reps short of parallel. They were gym crimes of the highest order. As a personal trainer, I should have been furious. If you have a client who can’t squat to depth because they’ve experienced knee or back issues in the past, then having them squat slightly higher than what’s usually considered acceptable in order to prevent pain isn’t such a bad idea. With slightly less depth the muscle will still be getting worked (albeit not as well as if full range was carried out, but worked all the same) and if this allows Dave, the 63-year old former fireman who’s had three knee surgeries to be able to do a greater selection of exercises then I don’t think it’s such a bad thing. You can obviously try to fix the issues though flexibility work, mobility and stretching but it’s also ok to move away from a particular exercise or modify it if the client cannot perform the movement at any range of motion without pain. 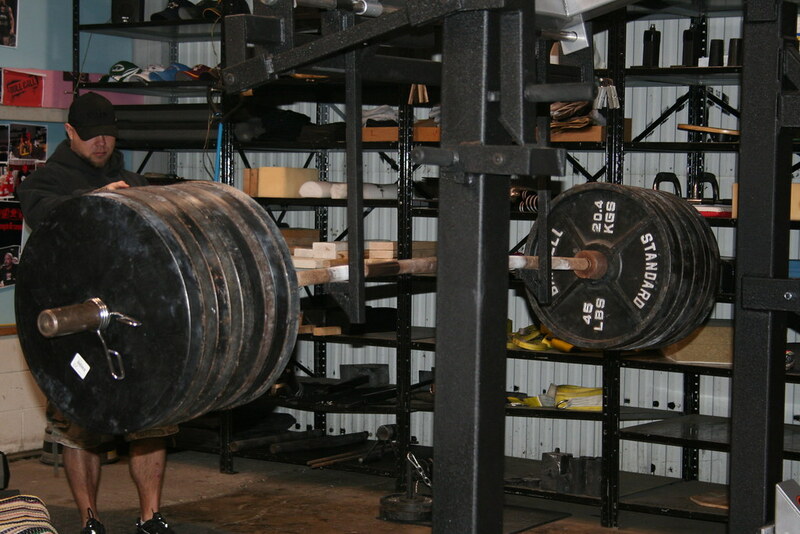 It doesn’t matter what Internet ‘experts’ say – not every client needs to train like they’re going into a powerlifting meet. If someone can’t do an exercise in a particular way, then don’t force it upon them. 2) If You Try to be a ‘Form Perfectionist’ Then Your Clients Won’t Progress. If I was personally spending hours and hours and huge amounts of my clients hard earned cash (which they most likely gave me for physical results such as fat loss or muscle gain) and spent the whole time working on postural correction, making sure there was absolutely no momentum used in any exercise, breathing was perfect and every single lifting ‘cue’ was nailed then I would have zero results to show and one pissed off client. It’s ok to allow for a little form breakdown when it comes to an exercise, as long as a client is still moving safely though a movement. You can correct a client’s posture over time if needed, but let’s not forget what clients come to us for – to be happy. They’ll get more happiness from seeing results in terms of fat loss and body composition changes, than from you barking orders at them and stopping a set every single time they don’t quite get the movement perfect. Obviously this is a trade-off. In an ideal world, you might see a client seven days a week, and spend one hour on postural correction and mobility and then another hour actually training, but this is the real world. Clients have a limited amount of time, so get them working hard when they see you, and advise they visit a sports massage therapist, a chiropractor or physical therapist to iron out any postural issues, as well as giving them some home mobility drills to do. 3) Perfect Form Doesn’t Allow For Maximum Intensity. When it comes to any form of strength training a certain amount of effort, intensity and overload is required to coax your body to want to get stronger and better. As training experience develops it becomes harder and harder to progress without regimented periods of high intensity. This should be carried out through the use of heavy weights or sets taken close to muscular failure coupled with muscular overload. Maintaining ‘perfect form’ throughout every rep and set of every exercise will result in an extreme lack of the muscular overload needed for the client to progress, get stronger and improve the way they look. Once again: clients want results and without them feeling and looking better then they’ll eventually leave. 4) Constantly Drilling Form Can Confuse a New Client and Make Them Feel Like They’re Always Doing Something Wrong. Imagine you were doing something completely new to you – perhaps learning the guitar, or trying to speak a foreign language. How would you feel if your tutor gave you 25 different instructions and made you stop every time something lapsed slightly? Probably pretty down and demotivated. That’s how a client can potentially feel. They’re already doing something new and scary by joining the gym and working out (possibly for the first time ever) so give them small, manageable, bite-size chunks of information and don’t pick up on every error all at once. Certain cues do need to be in place initially in order to prevent injuring your client. A mistake I see a lot of trainers make is that they throw numerous teaching points at a new client in a single session, often resulting in the person looking mentally exhausted and disheartened. Look at teaching a client the basic cues first such as keeping a neutral lumbar spine, monitoring breathing and so on, then every week or two once the basics have been developed (along with confidence) you can then look at adding one or two more teaching point to the mix and repeat. Gradually adding teaching points this way allows clients to feel they’re accomplishing something each session and doesn’t leave them overwhelmed. As long as a client isn’t risking injury then let them do the exercise. Let clients lift sufficient load with enough intensity to cause progression. 90% of your clients pay you for aesthetic improvements and fat loss, not to correct their form for a whole hour. Don’t throw 100 teaching points at a new client and overwhelm them, add a new cue in every couple of weeks until each are mastered. You don’t NEED to do any one exercise with a client. Jonathon Potter is a personal trainer, bodybuilder and is the owner of JHP fitness online coaching company. You can check out his website HERE, and his Facebook Page HERE.